1. Get started right away – Start working on helping your dog get prepared for the new little one’s arrival as soon as you know you are pregnant. If you wait until the last couple of months, you will have less time to devote to helping get your dog ready for the baby’s arrival. It will also help your dog by not overwhelming them with too many changes at once. 2. Take a training class- If your dog has not been to training in a while, it is important to take a refresher course. There are many commands that will be extremely helpful for you to use when the baby arrives. You want to ensure that your dog is able to understand your requests and respond in a timely manner once your baby arrives, so a refresher course will help both you and your dog. 3. Put the baby gate up now - You want to start teaching your dog boundaries, especially at the door of the baby’s room. You want to ensure that your four legged family member starts getting used to not being able to come everywhere with you. Practice going into the baby’s room and closing the baby gate so your dog can’t come in with you so they get used to seeing that behavior before your baby arrives. By the time your baby arrives, your dog will see it as a normal behavior and not something that is occurring just because of the little one. 4. Put baby items around the house – Start bringing in items that will be around the house when the baby arrives. Put a bouncy chair on the floor, bring in a high chair and other items. This will allow your pup to get used to seeing them. It is also a good idea to get a CD of a crying baby and baby noises and have your dog get used to hearing those. 5. Let Fido adjust to new smells – Dogs have a very keen sense of smell so it is important to bring in items that are going to be used on the baby. Purchase baby powder, some diapers, and any other items you know you will be using that have a distinct scent. 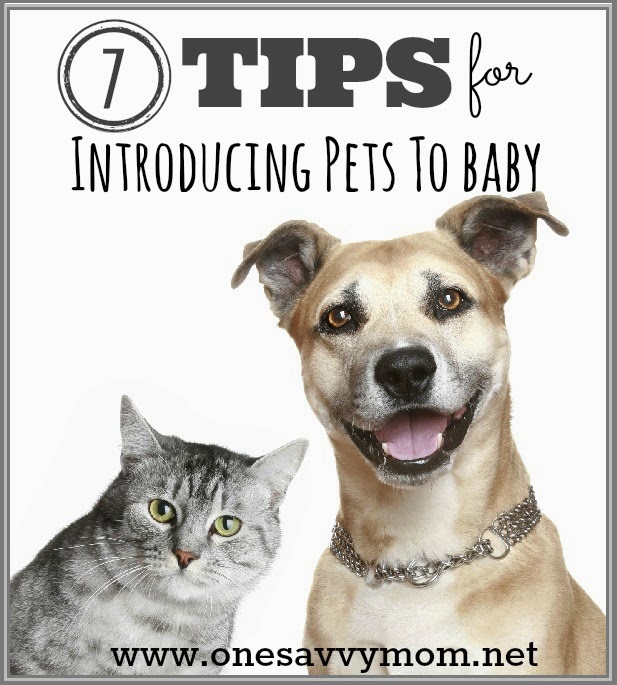 Your pup will acclimate to them and they will be part of their everyday experience before the baby even arrives. 6. Quality time - Spend a minimum of 10 minutes a day doing something with your dog that they enjoy. Play fetch in the back yard, go for a ride in the car, or simply spend time petting them. 7. Buy a baby doll - You will want to practice having your dog respond to commands and displaying good manners when you are holding the baby, so there is no better way to practice than to carry a baby doll. Sit on your couch and hold and talk to the baby doll and make sure your dog sits on the floor and doesn’t try to jump up, put the baby doll in the bouncy chair and get your dog to lay down next to it. Getting your dog practicing manners right away is a must. Heidi Ganahl is the CEO and Founder of Camp Bow Wow, North America’s largest and fastest growing pet care franchise and INC 5000.